The bar inside a limo can make for an attractive space. A great limo bar is a spot where people can enjoy getting some fine drinks in. This is a good place that is entertaining for all kinds of events whether it is for a wedding, a business meeting or even transportation to a casino, sporting event or other place. A limo bar will be a very entertaining place but it is important for you to think about how your limo bar is to be organized. When used right, it will be easier for your bar to be made well and to be entertaining to everyone in your vehicle. You should watch for how you’re going to make a limo bar work for you. Such an appealing place will add something intriguing and nice to be in. You might be amazed at what will come about when you’re in a good limo bar. Your bar will be designed with a body that is integrated into the side of the passenger area. This will be built within the wall and should include a wood paneling setup. This is a great setup arrangement that offers a nice and comfortable look that you are bound to enjoy having. This can be about two or three feet in length in most cases. This should be enough to help you secure the materials that will come with the bar for serving purposes. This does not come with a drain or a tap system in most cases. You could get these added to your limo bar but they would cost a dramatic amount of money and would require you to maintain a reservoir for the tap to draw out of. You’d have to clean that spot and check it regularly while also keeping it chilled if possible. The design should be made with an ice well that can be removed as needed. You can take the bucket-like material in the well and carry it out. You will have to carry it out well so you can easily drain the melted ice from it and also clean out that spot. Lights will have to be added to the limo bar to make it easier for you to see the bar in any space. Lights can be added around a variety of spaces including the edges of the bar. This is to distinguish the bar and the illuminate any surfaces around the bar that you would offer great drinks at. Be sure when planning your limo bar that you are aware of how you’re going to make it work with your lights in mind. The lights should be prepared to be easy to spot but not too intense to where they might cause the ice to melt or to change the properties of the drinks in the bar. In fact, LED lighting may be found in your limo bar. This is not only easy to adjust but will not generate an excessive amount of heat. This keeps the drinks protected as the risk of heat hurting your ice or other items will be reduced or even eliminated altogether. The lighting will be organized with a connection similar to what might be found in the rest of your limo. You might find some great lights that feature color-changing points. If used in your bar, they will look brighter and offer a nicer look that you are bound to enjoy having. When orchestrated right, the lighting will add a nice ambience to the bar. This creates a stronger look that establishes a sense of class and fun within the bar. It is a point about the bar that all people inside the vehicle will certainly enjoy having some fun with no matter where they might be. Your limo bar can be stocked with all sorts of great drinks. You’ll be responsible for supplying the drinks in your bar. Fortunately, a bar can be designed with a space that allows you to store bottles or cans or other items in. A bar can come with an ice bin in many cases. This is a space where there is a slight recess within the limo bar. The space will allow you to add ice and other things into it. This will allow you to keep your drinks chilled no matter where the limo might go. This is a popular feature of your limo bar to see but you will have to look carefully at how well your limo bar is organized with the best possible drinks. You can always offer plenty of great alcoholic drinks like champagne bottles or beer bottles. Cans of soda can also be offered for people looking for non-alcoholic drinks or when you’ve got minors on board. Bottles of water can be included as well in The Limo Bar. Be sure to think about the event that you will be serving when getting your limo bar prepared. This is to ensure that you’ll have the right things available for your guests to enjoy. You should have plenty of glasses on hand to entertain all your guests. These glasses often entail traditional drinking glasses for most purposes and can be great for when you’re aiming to serve big bottles of soda or other things in big containers. The most common type of glass you’ll find in a limo bar is a champagne flute. This is thanks to how many occasions where a limo is used will call for champagne. A good series of flutes can be arranged with a few holders to keep them in place. Of course, these could be used for other types of wine that you can store in your limo bar but it’s always a good idea to bring in champagne, what with the occasion being classy as it is. These glasses will also have to be made of finer crystal materials. While this is not a requirement, it is always a good idea to have such nice glasses when you consider how fancy the limo is. This should offer a nicer look that is different from what you might expect to find elsewhere. You can always have a media player or other feature in your limo bar area. Many bars might come with features like a small television set or stereo control system. This may be designed with a good setup that creates a fun appearance. The added media features to your bar area will certainly do wonders for you. In particular, it makes the bar a good gathering space for everyone. Can You Get Heated Drinks? A typical limo bar will not come with a heater for warmer drinks. These include coffee and tea among other things. Fortunately, you can still get people to adjust the air conditioning to ensure that their drinks will stay at a certain temperature over time. Stock enough drinks based on not only the particular types of people who will be there but also the number of people. Try and get about two or three drinks per person if possible just to make it easier for people to enjoy enough drinks. 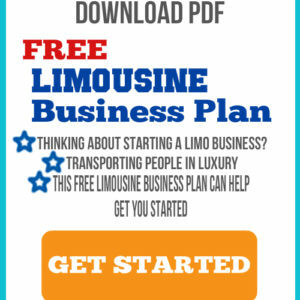 Consider the amount of time it would take for you to transport someone in your limo. You don’t want to stock far too many drinks if you’ve got a short trip. Think about the particular type of event that you will be transporting someone to when getting drinks ready. It’s easier to offer alcoholic drinks if you’re taking someone to a party, for instance. When handling people that come from an airport or other professional situation, you should aim to offer a good series of non-alcoholic drinks. These include options like juices, water bottles and even iced coffee drinks. Always clean off the bar area after each use. This is due to how some drinks might spill on the bar. Anything that isn’t cleaned up can become sticky or even cause warping on the surface. Check your glasses for cracks and other problems on occasion. Don’t forget to have backups so you can have clean ones to place in your bar while previously used ones are placed elsewhere to be washed later on. Always check on how well the suspension for your vehicle is designed. You need to keep the suspension comfortable so it will not be problematic to the bar to where the glasses and other features all around will shake and fall around. These are smart points that should be used when getting your limo bar ready. You will have to get these ready to make it easier for you to make your bar feel its best. You should look carefully when figuring out what you can get out of your limo bar. A great limo bar will be entertaining and fun for everyone in your limo to enjoy. This place is one of the most unique things about it for how it offers great drinks for all those who are inside the passenger cabin. Even though it is indeed an entertaining spot to enjoy, you should watch for how it is organized. You will have to get your bar set up carefully with a good design where it will be easier for people to enjoy while also capable of keeping your drinks chilled and enjoyable. After all, a great bar will be a space that is certainly suitable and appealing.